So why no massive protests roiling on the mall in the Washington, D.C.? Why no polarizing national debate over two wars that have cost this nation trillions of dollars in blood and capital but netted no tangible results in terms of stabilizing the region and removing the radical Islamist threat? I would argue it’s because there is no longer a compulsory military draft. Instead, we’ve transitioned to a full-time, standing, professional military system that continues to lean disproportionately on poor, rural, inner-city and ethnic minority Americans who need the work – even if it may require the ultimate sacrifice. Clinton wants more special forces in Syria to combat Isis and try to correct the mistakes of Iraq, although for now she’s ruling out mass deployments to either defeat Isis or try to oust President Bashir al-Assad. Still, small deployments of advisors and special ops often lead to mass deployments (see Vietnam War), and even though there is no compulsory draft these days, we all know where most of those troops will come from – the lower tiers of our society. In fact, there were 38,000 undocumented workers in our armed forces at the time of the invasion in 2003. It’s now seen as a faster path to citizenship, so we are continuing to rely on the poor, disenfranchised and desperate to not only do the hard labor most Americans eschew, but also to fight misguided wars that only seem to exacerbate instability in the Middle East. 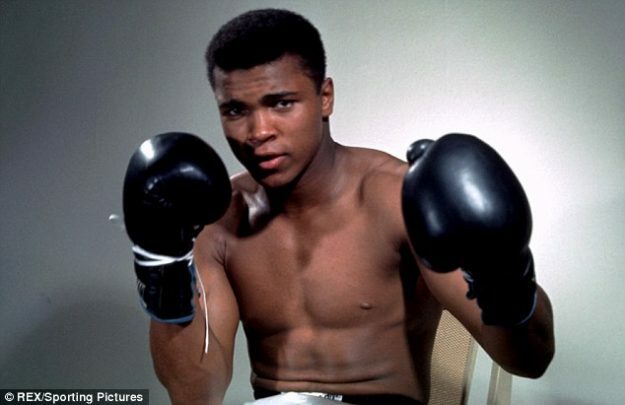 Immigration is not only an economic and national-security issue, but perhaps the most pressing humanitarian cause of our time – one that I doubt Muhammad Ali would have shied away from. No mention of the former two time governor of our southern neighbor, Gary Johnson? He is the most honest candidate on the ballot and has been consistent in his reluctance to support foreign entanglements despite being a member of the GOP as governor. What better way to reject both the failed Secretary of State who belongs in prison not the White House and the blowhard authoritarian who would do anything in his power to bring us back to a time when it was acceptable to build internment camps for US citizens with a heritage he disapproves of.